Blooming of common lilacs is a common phenological indicator. The word phenology is derived from the Greek word phaino meaning “to show” or “to appear”. Phenology is a branch of science that studies the relationships between periodic biological events—usually the life cycles of plants and animals—and environmental changes. Natural events such as bird migration, the opening of local lakes, plant budding, flowering or fruiting, insect activities, and harvest dates of cultivated plants are all annual events that can be correlated with seasonal or climatic changes, particularly with weather or temperature, rather than specific calendar dates. You may be familiar with folklore that associates gardening events with unrelated processes. One example is planting corn when oak leaves are the size of a squirrel’s ear. You know that planting corn has nothing to do with oak leaves or squirrels. However, Native Americans made the observation centuries ago that the soil was warm enough to prevent seeds from rotting, yet it was still early enough to reap a suitable harvest if corn was planted at this time. This is an early example of phenology. But phenology can trace its origin much further back in history. The first paper on phenology was written in 974 B.C. – long before meteorology, botany, and ornithology, the key components of phenology, were born. The Japanese began recording the first bloom of the cherry trees in 812 A.D., and Carl Linnaeus was one of the first scientists to record observations of natural phenomena. Locally, Aldo Leopold was one of the early phenologists in Wisconsin. He kept extensive records of natural seasonal events near his home in Sauk County from 1935-1945. 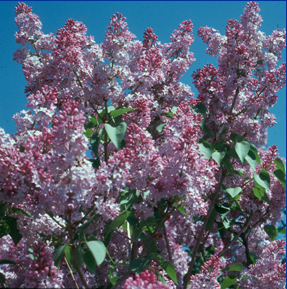 When observing phenological events on a large scale, the same event—such as lilacs blooming—progresses from west to east and south to north. This phenomenon is referred to as “Hopkin’s Rule” which states that phenological events are delayed by four days per degree of north latitude and 1¼ days per degree of east longitude. Basically, the farther north or east you go, the later you’ll see similar events. Hopkin’s rule however, doesn’t take into account altitude or topography – the latter being important in a state that is bordered on the east by Lake Michigan, which exerts a tremendous impact on the local climate. insect begins to cause damage. It will also become obvious that these annual events do not occur on the same date every year, but change depending on the weather. Phenological records need to be gathered over many years in order to develop reliable correlations. This information can be used to help determine crop planting dates, or predict when insect emergence will take place and pest control should be initiated. Many such correlations are based on the blooming time of common flowering plants. • Plant peas when forsythia blooms. • Plant potatoes when the first dandelion blooms. • Plant beets, carrots, cole crops, lettuce and spinach when lilac is in first leaf. • The saucer magnolia is a common indicator plant for early spring events. Pink bud, early bloom, full bloom, past bloom, and petal drop are some of the discrete events of the saucer magnolia that can be associated with an array of landscape insect pests. • The common lilac has become a cornerstone for phenological observations, particularly for comparing one year to the next. First leaf, first flower, and full bloom are three life events frequently observed with the common lilac. 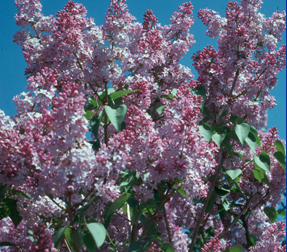 There is also a common lilac observation program in the eastern United States and Canada that is used by climatologists to study global warming. • Chicory is a summer-blooming indicator plant. When the first flowers of chicory open, the time is right to prevent damage from the squash vine borer. • And when Canada thistle is in bloom, apple maggot adults are abundant and susceptible fruit should be protected.